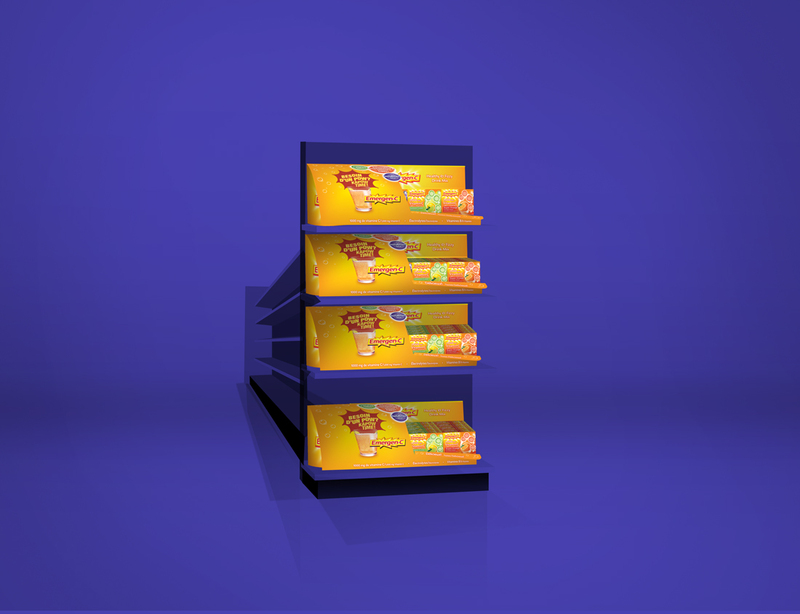 To support the launch of Emergen-C into the Canadian market, we were asked to develop custom cardboard POP display concepts for big box retail stores such as Walmart, Loblaws, Shoppers Drugmart and Rexall, to further promote sales. 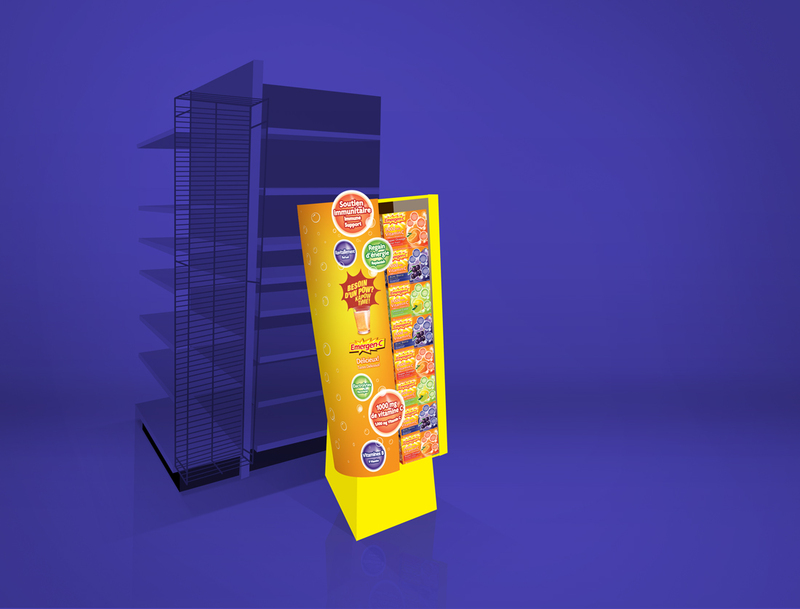 Store specifications vary from store to store so being familiar with specific regulations allows us to construct concepts that are flexible and will work across many different size allowances, product count, and of most importantly on budget. 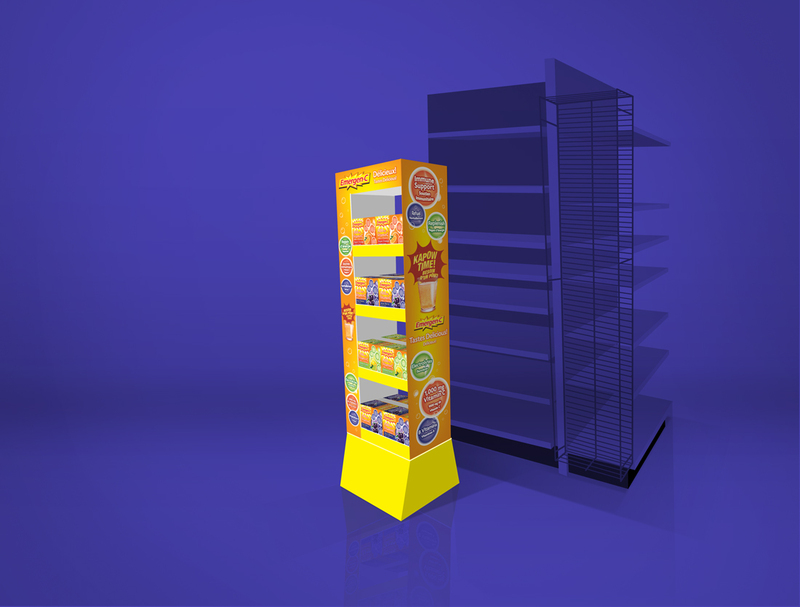 We’ve been producing new POS displays annually for Emergen-C to continue that off-shelf brand exposure and further boost sales.